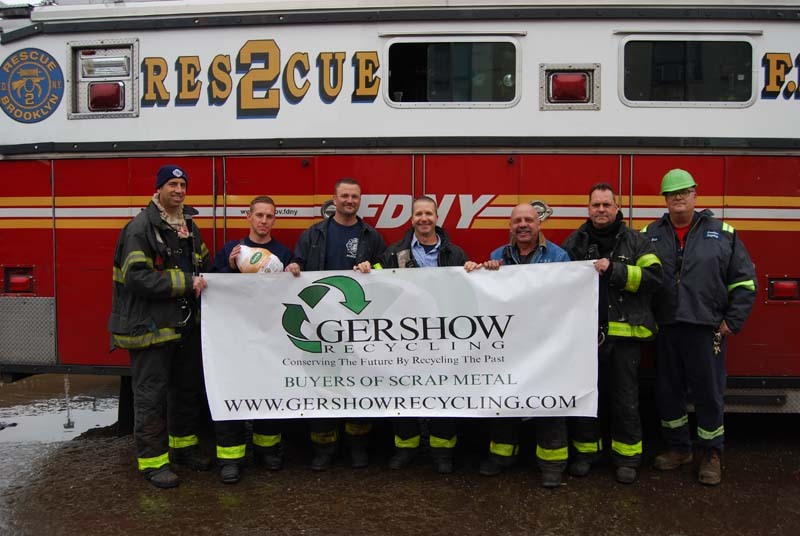 Eric Kugler (fifth from left, holding banner), Manager, Gershow Recycling, presented turkeys with the members of Fire Department of New York Engine 111. He is joined by Captain Saporito (third from left). Eric Kugler (right), Manager, Gershow Recycling, presented turkeys to the members of Fire Department of New York Fire Rescue Squad 2. He is joined by Lt. Mahon (third from left). 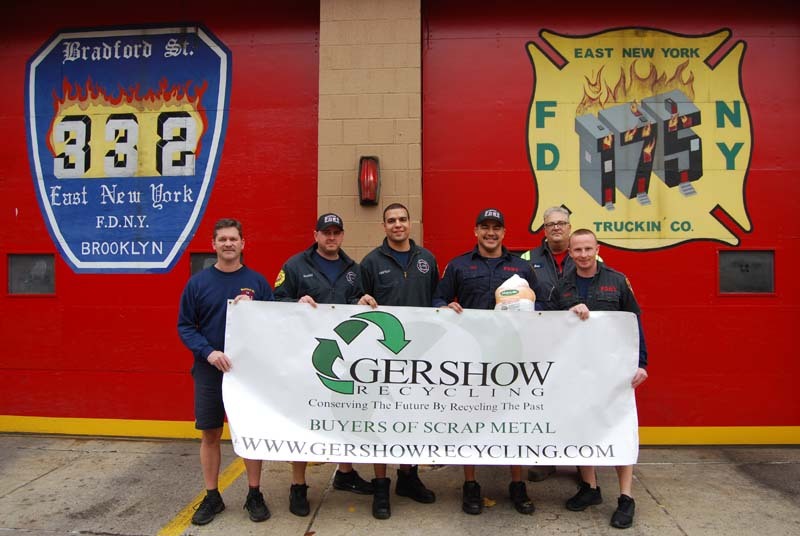 Eric Kugler (right), Manager, Gershow Recycling, poses with members of FDNY’s Rescue Squad 252 after receiving five turkeys from Gershow. 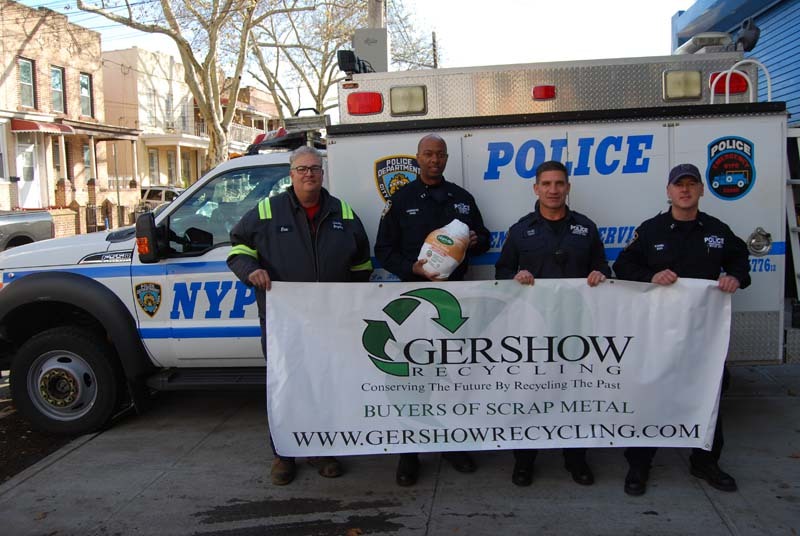 Eric Kugler (sixth from left), Manager, Gershow Recycling, poses with members of New York Police Department 73rd Precinct and P.S. 284 and some of the turkeys they received from Gershow. 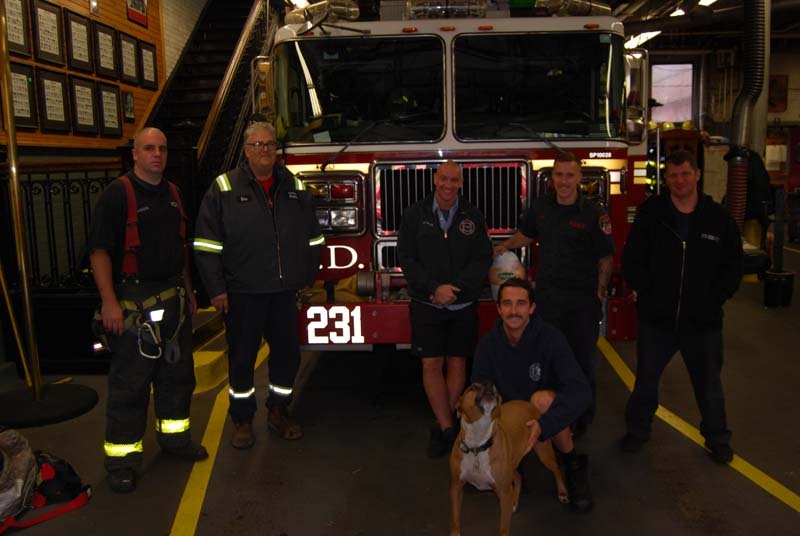 Eric Kugler (second from left), Manager, Gershow Recycling, poses with members of FDNY’s Engine 231/Ladder 120 at Watkins Avenue and one of the turkeys they received from Gershow. 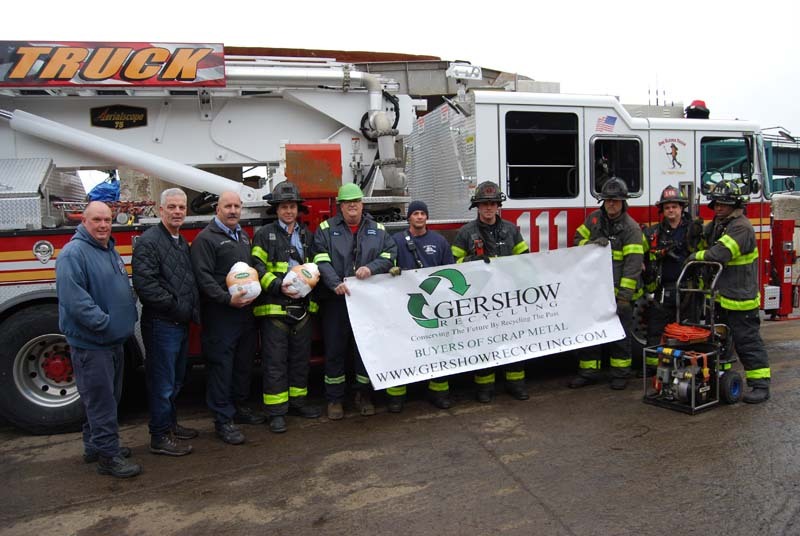 Eric Kugler (second from right), Manager, Gershow Recycling, poses with members of the FDNY’s Engine 332/Ladder 175, who are holding up one of the turkeys they received from Gershow. 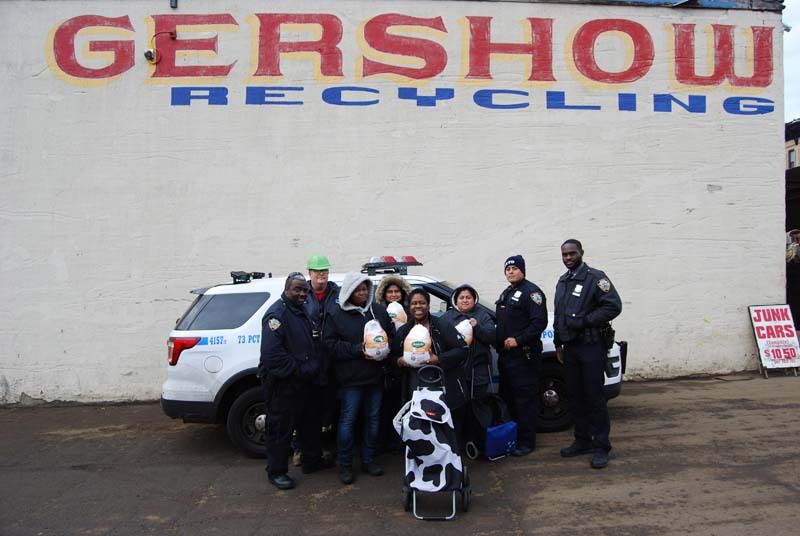 Eric Kugler (center), Manager, Gershow Recycling, holds up one of the turkeys Gershow gave to the NYPD’s 75th Precinct. 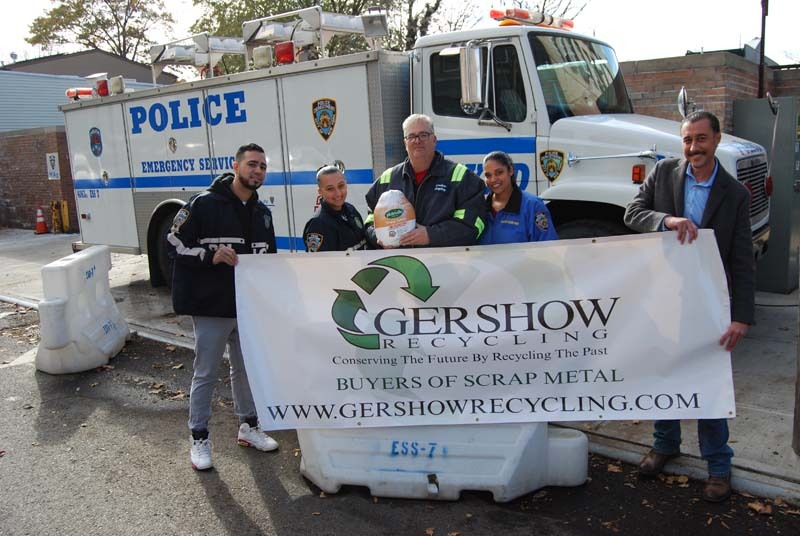 Eric Kugler (left), Manager, Gershow Recycling, is joined by members of the Emergency Services Unit, who display one of the turkeys they received from Gershow. 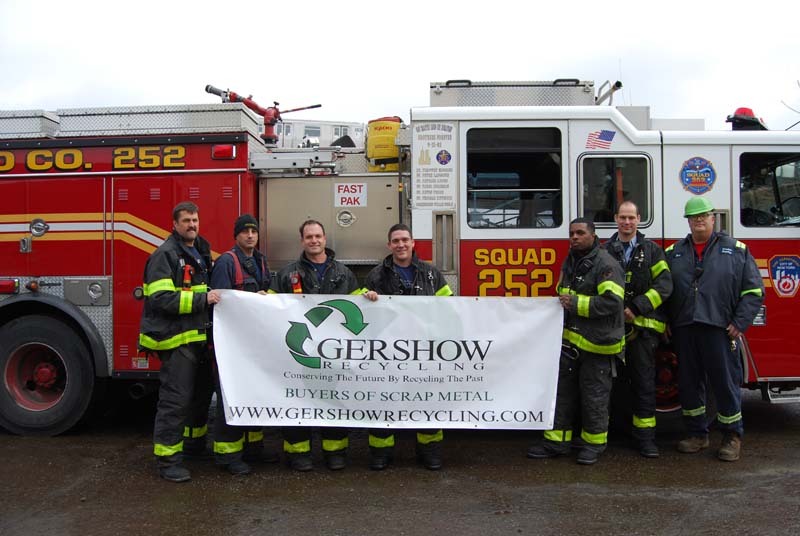 Gershow has nine locations in Brooklyn, New Hyde Park, Valley Stream, Freeport, Lindenhurst, Huntington Station, Bay Shore, Medford and Riverhead. For more information, call (631) 289-6188 or visit www.gershow.com.